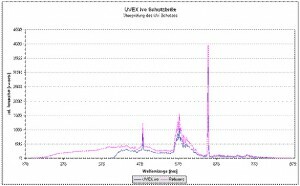 In the spectrometry, the energy of a certain wavelength or wavelength range is measured, which emits a substance which falls back from a high-energy state to the ground state. An emitting material can be identified by its characteristic wavelength emitted. 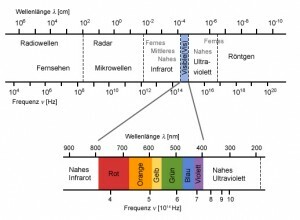 When UV-/VIS-Spektrometrie the energy is measured, given off in the form of photons. 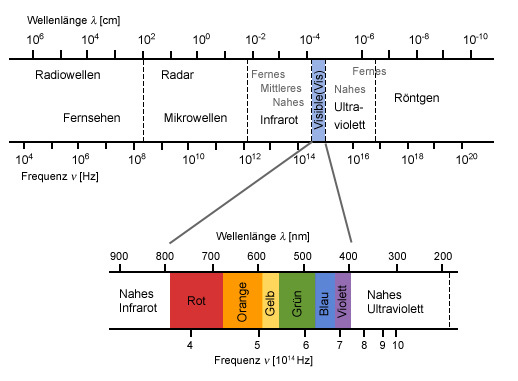 It comprises the UV and visible region of the electromagnetic spectrum (approximately 200-850 nm). 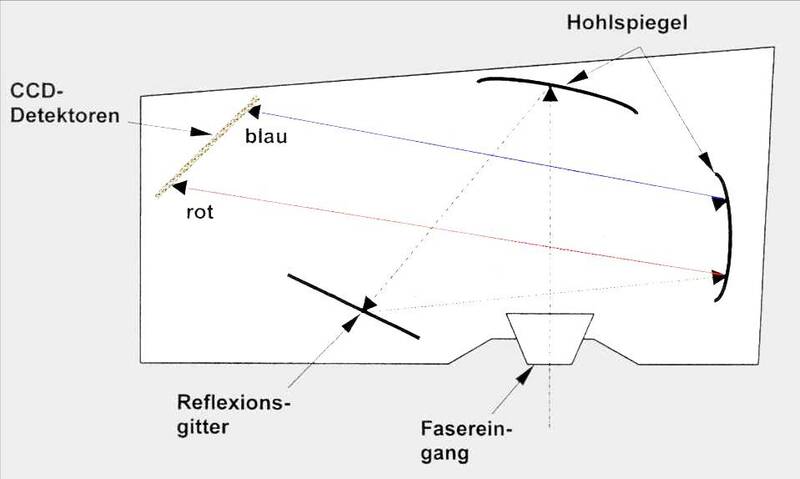 In a reflection measurement the emitted photons from a radiation source to be measured, reflected from a specific substance, such as silicon for photovoltaic layers. A transmission measurement of a quantum of light emitted to determine the radiation source is transmitted through a specific substance, that is transmitted, for example anti-reflective coatings. In an absorption measurement, the emitted photons of a radiation source are determined, which are absorbed by a given substance, such as absorbent layers for solar heating. 3. 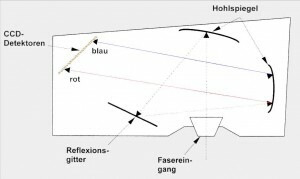 The reflection grating separates the light into individual wavelengths, which is directed via the second concave mirror to the photodiode (hereinafter CCD) detectors. 4. The photodiodes convert incident light into electrical signals that are detected and processed by a computer. 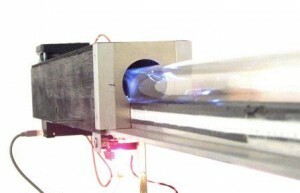 Measuring the transmittance of glass tubes for use in solar thermal energy. Measuring the absorption of a radiation protection glasses. 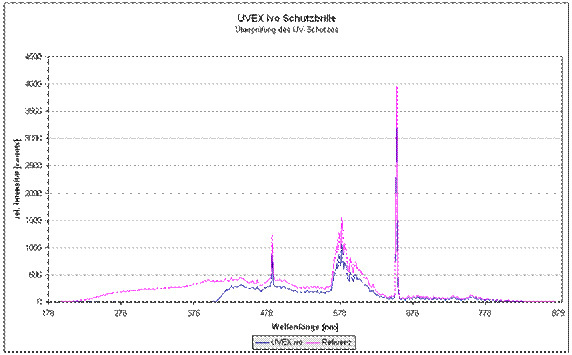 clearly see the absorption of the UV range and thus the protection of the eye from UV light.